In the early 1960s, an area on the south side of Little Chico Creek was quarried for gravel to build State Highway 99 across Bidwell Park. The primary contractor was Teichert Construction of Woodland, California. The state engineer, Jack Kelly, said there was nothing there except a weed patch beneath a shallow ridge, which now separates the ponds from Heritage Oaks subdivision. Along this terrace where the housing development is located there was a small ranch featuring English walnut and almond trees. The gravel was mined from an ancient alluvial fan. Pit number one was dug to an almost uniform depth of eleven feet. The shallow aquifer beneath the pond was ruptured near the end of excavation This released at least three springs, which have continued to flow ever since (@1965). Heavy rainfall that year contributed to the rapid filling of the pond. Disputed rumor is that heavy scraping equipment was flooded over night, and had to be towed to safety. Pond 3, which is connected to Little Chico Creek, has the least open water. Photo by Jon Aull. Pond two, into which pond one presently flows, and pond three to the north are closer to the freeway, and are much shallower, averaging 3.5 feet. Before storm drains from a four hundred acre watershed were constructed in 1982, these ponds dried out during Chico’s hot summers. The damage caused by this effluent water will be discussed later in this article. Since the freeway was completed, and Teichert left the site, pioneer plants and animals have crept in and continue a succession. This forty plus acre site consists of four community types: open water, swamp, riparian around the ponds perimeter, and upland deciduous. Foot traffic, fishermen, transients, and city maintenance staff sustains trails and roadways around the ponds. A bike trail next to the freeway has been under construction for the past year. Completion with two bridges crossing Little Chico Creek on both sides of the freeway is scheduled for completion in 2012. I first became interested in the ponds in 1965. I helped my wife do a comparative water chemistry study between the ponds and Little Chico Creek. At the time there was a slaughterhouse located where Marsh Junior High is presently located. Dr. Alexander from Chico State wanted my wife to see if the meat processing had any influence on the downstream water quality. As I remember, the effect was nominal. My interest continued during the early seventies, when I taught field biology to Chico Unified summer school students. We built sampling traps and dropping boards, and surveyed the area for plants and animals. Students were bused in 12 passenger vans, a luxury unavailable in today’s economy. This experience convinced me of the potential of the ponds as both an educational and passive recreational locale. The stormwater inlet and canal alongside Kohl’s parking lot drains into Pond 2. Photo by Jon Aull. Meanwhile the pond flora and fauna matured, and was in dynamic equilibrium. Ownership of the property changed hands several times during the 1980s and 1990s. The city was granted permission to use the ponds for water detention and flood control in 1980. Two fifty-four inch storm drains carried wastewater from over four hundred acres of foothill housing developments. 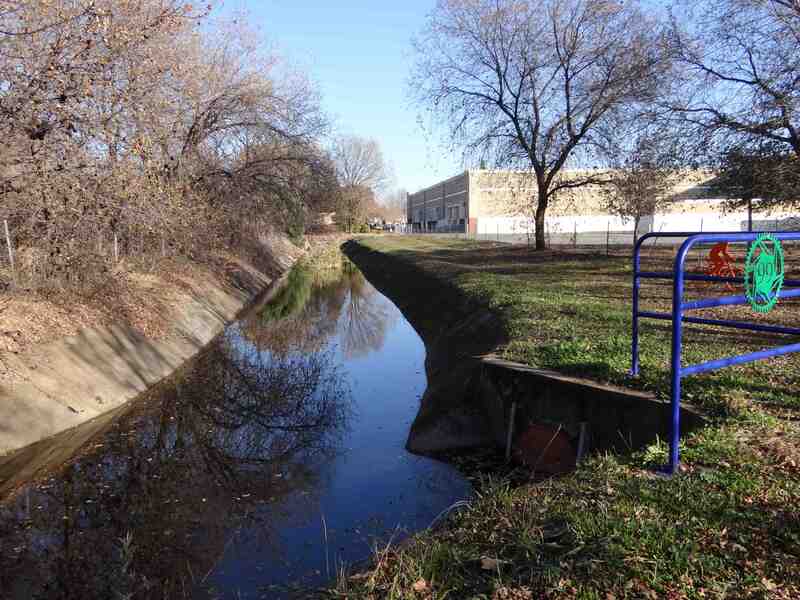 The city saved money by not building a causeway to flow directly into Little Chico Creek. Unfortunately this water containing nitrates and phosphate from household chemicals caused algal blooms and eutrophication to the ponds. As the ponds heated during the summer, this excessive plant growth shielded underwater plants from conducting photosynthesis. The decomposing bacteria used up the oxygen in the water. This caused bottom plants to die, and fish to go belly up. Life-sustaining oxygen is a by-product released from the photosynthesis reaction. Plants that absorbed these “nutrients” eventually died and sunk to the bottom. Not a healthy thing! In 1990 fellow Bidwell Junior High teacher John Wirt and I formed a group named the Little Chico Creek Educators’ Consortium (LCCEC). Members of the community representing educators, the owner of the property Harry Cassebaum, a representative of the City of Chico, and curious observers met to consider options for the property. Our first goal was to encourage the City to take ownership of the ponds. After all, they had been using the ponds for water detention for ten years. Harry Kassebaum had considered partially filling the ponds to construct a convention center. The geography center at Chico State was involved in the planning before the project was scrapped. There was a large pile of dirt on the ridge above pond one in the late nineties. The LA developer who bought the property from Harry was surprised as we when he discovered the huge dirt pile had been removed (stolen?). No one claimed knowledge of its whereabouts in his absence. You might say, there were insufficient grounds for a case. The Little Chico Creek Educators Consortium (LCCEC) remained active from 1990 to 1999, when the city finally assumed ownership of the ponds for forgiveness of mitagation fees (credits) worth somewhat over $ 300,000 and payment of a dollar to the owner. Before Pete Giampoli took ownership of the surrounding property to build Heritage Oaks, there was an interim owner who had a plan to encompass the housing development with the ponds. A transition zone between the homes on the ridge and pond one included trails, viewing kiosks, and shrubbery. 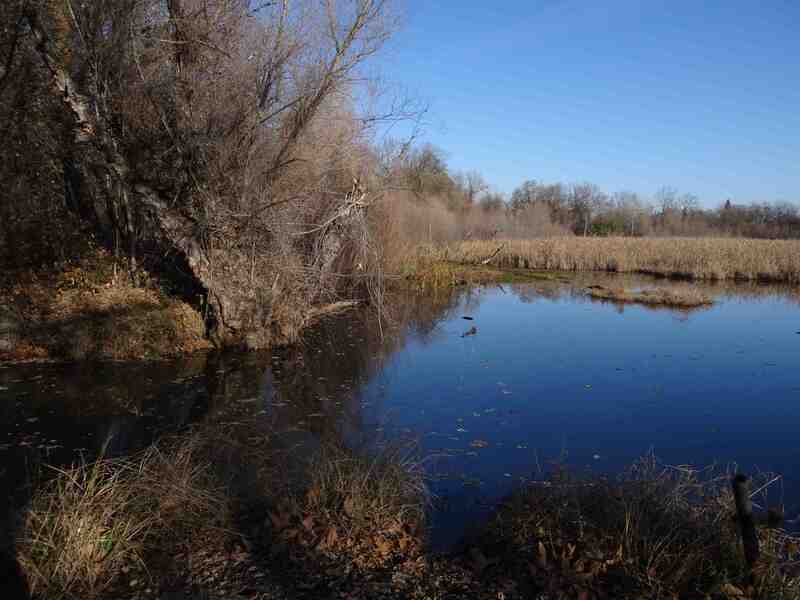 The plan encouraged residents to become stewards as well as users of the ponds. 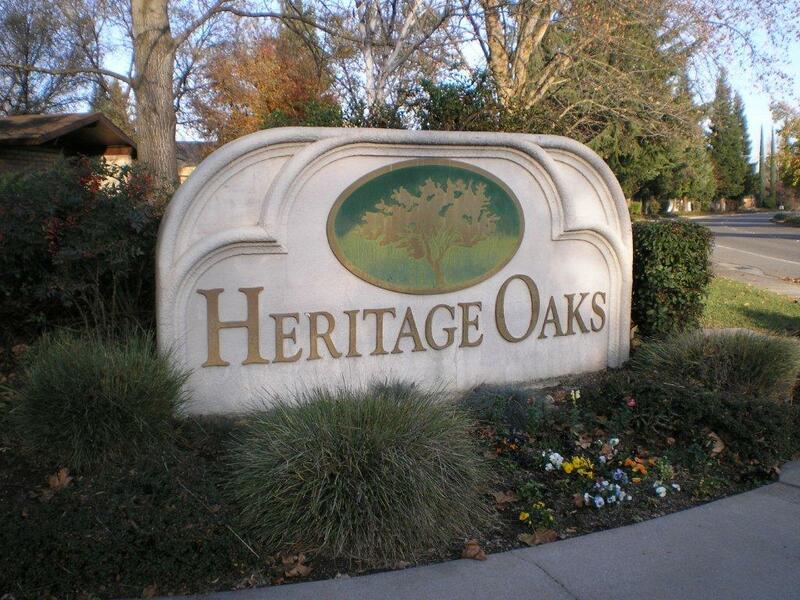 Unfortunately, Heritage Oak’s developer took a different approach. Property was fenced off and access points limited. My petition to the city to take back two lots by eminent domain at the listed price of $30,000 per lot was rejected by the city of Chico and Mr. Giampoli. A dedication of the ponds to the city occurred in 1999 near the old farm house where Harry Kassebaum’s caretaker had lived for nearly twenty years. He had kept an eye on the ponds, stocked pond one with 500 catfish and 400 bass, built a dock for his boat, fed the geese grain, and drank the relatively pure pond water before 1980s influx from the storm drains. It was appropriate that the city take control of the ponds, for they had used them for water storage for ten years. The LCCEC, for the next seven years, continued to encourage (badger?) The city to improve the quality of water and surroundings. Of the $ 500,000 + budgeted to do the study and plan for restoration, approximately $350,000 remains to begin the project. Jones and Stokes finished their study in 2003 and Restoration Resources completed their installation and maintenance plan in 2006. With the sagging economy, LITTLE has been done in the last five years.